Winnipeg Transit’s fleet has been increasing in size and types of buses over the past decade. The primary vehicle maintenance facility operated by Winnipeg Transit is the vehicle overhaul and repair shop at the Fort Rouge Garage, located at 421 Osborne Street. 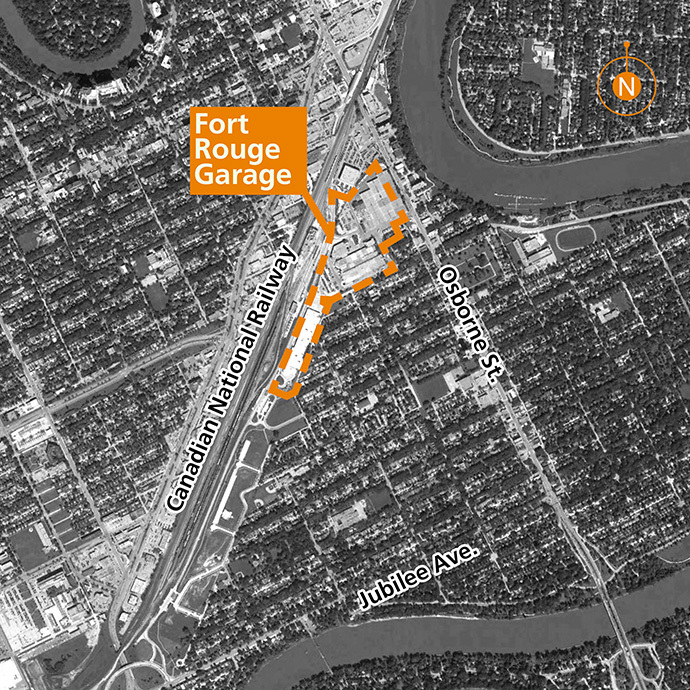 The main facilities at the Fort Rouge Garage are nearly 50 years old and many of the building systems have reached the end of their useful life. To meet current and future demand, Winnipeg Transit is proposing to expand its Fort Rouge Garage bus maintenance facility. To view the information session materials, visit: Winnipeg Transit Garage. Hard copy surveys will be available at the information session. To complete an online survey, review the information session materials (see above link) and complete the online survey. NOTE: The online survey will be available until January 27, 2017. A second Information Session will be held in the Spring/Summer of 2017 to present a more detailed design of the building expansion.